On the way to our farm-house we passed a sign for a county-wide Heritage Festival on Saturday. We also saw a black and white flyer pinned to the wall in a local store. Being the city girl I truly am I automatically googled the festival hoping to find more information. I forget that out here the internet is often the last resort as a means to spread information. Though I knew nothing more than date and location, the kids and I decided to check it out this morning. I’m so glad we did! Free entry and several free kids activities, like bounce houses, a trolley ride, and a rubber duck race- WINNER! I planned to spend maybe two hours there, but we didn’t make it back to the car until after 2pm, tired, hungry and a bit sunburned. Next year I’ll plan better and pack sunscreen and a lunch for sure! 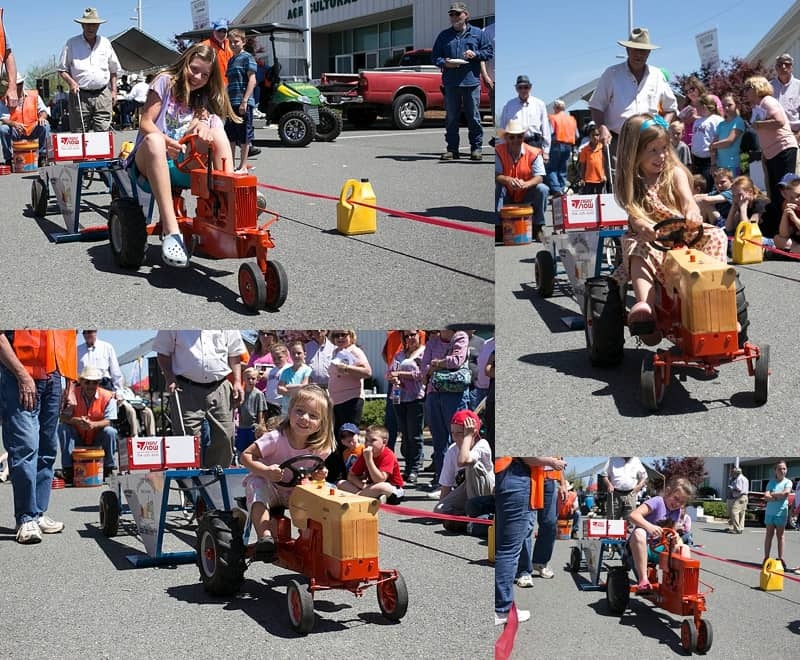 The hit of the day was the kids pedal tractor pull. Miriam won first place in her age group, and Michael won a tractor toy. Look at Michael go- this boy can make a face! I also found an information table for 4H, and it turns out that they have an animal explorers club in our town. I can’t wait to get the kids plugged in! I love it when a chance at adventure pans out even better than I hoped!